Gifting Financial Knowledge Is Easier Than You Think! What would you do if your child came to you with a great idea for a business adventure? Would you know the right avenues to take? How to educate them on business ethics at an early age? For us, we have always tried to instill financial responsibility and our children. 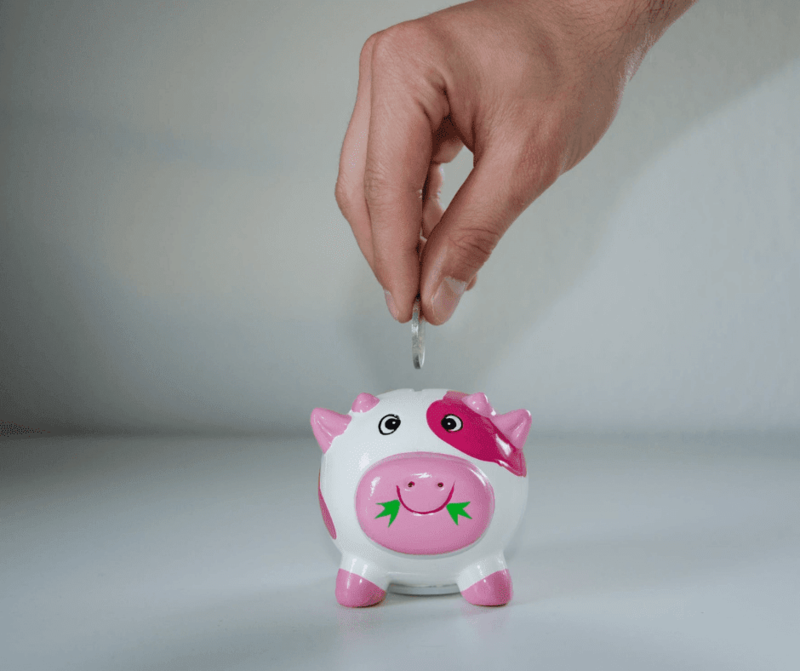 Managing an allowance, learning the power and freedom that comes with savings, knowing the difference between a need and a want, and even short and long-term goals. All of that is so important to be able to save and live. When the kids come up with a way to make real money for themselves, how do you encourage them to go about it the right way? We had those questions and so many more when we had the opportunity to work with Ramsey Solutions. 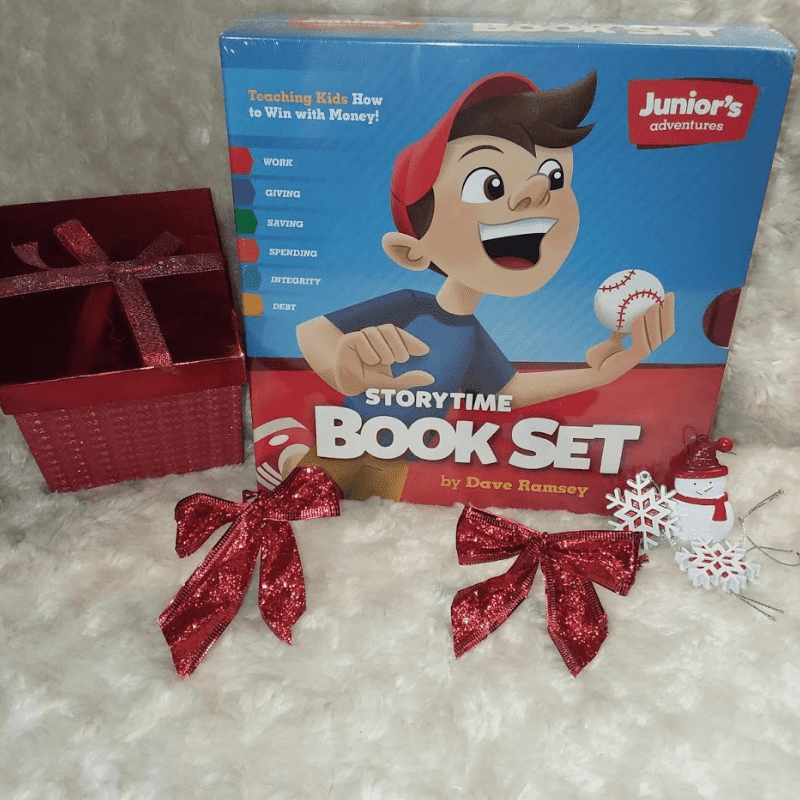 They sent us the Teen Entrepreneur Toolbox along with Act Your Wage board game, Financial Peace- Junior Adventures, and Storytime Bookset Juniors Adventures. It's a full collection to help teach kids in a fun way about financial importance. I think this is a great thing for young people. All of the awesome products in this post are available at Dave Ramsey As well as Amazon and other retailers. Price listing is for David Ramsy only, check the other locations for other pricing. Teen Entrepreneur Toolbox is a small business guide for teens. It covers eight easy to follow steps to learn the basics of customer service. Again, I think this is an amazing idea for kids. My husband and I want our kids to be focused on school but if the opportunity presents itself to introduce financial gain, we are all for it. As long as they know and understand that saving is not an option. They might not like it so much now but, they will thank us later. This is everything to get the ball rolling and getting an understanding of how things in business work. The concept is easy to grasp and the guide for parents is an amazing feature. It helps parents to better help their kids instead of just saying good job and don't worry, you'll figure it out. That can be one of the most discouraging statements to say to a learning individual. 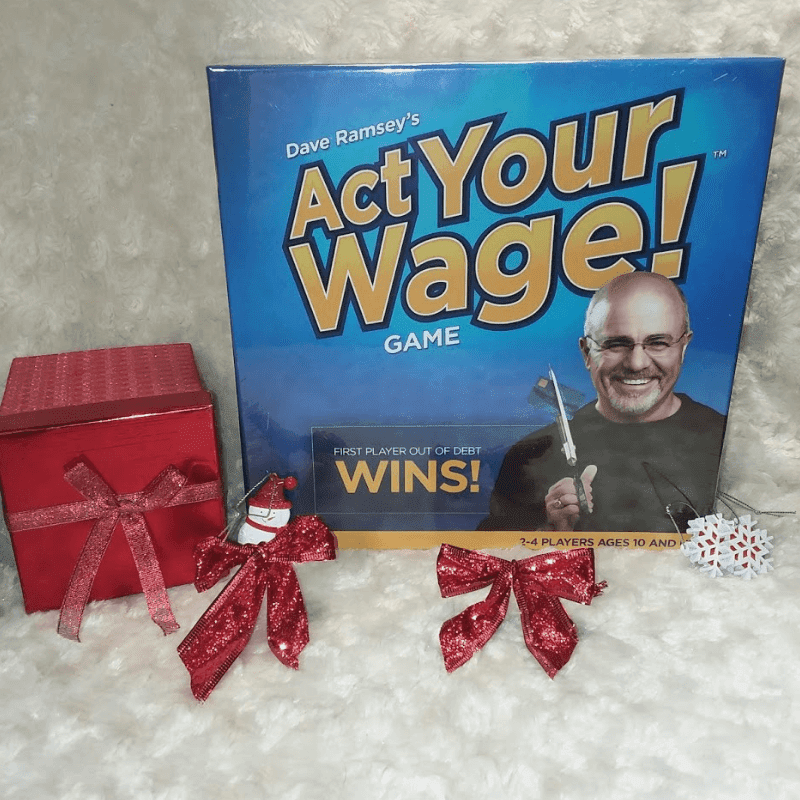 Act Your Wage is a board game that allows families to put their hands on the actual money issues to see how they play out. It's a really cool way to include real-life issues in a financial setting. The first person out of debt wins! What a cool concept! Storytime Book Set comes with a collection of stories that help teach basic skills. It helps kids learn the values of hard work and integrity right along with Junior, the main character. They are created to teach kids how to win with money, while they don't know they are learning through entertaining stories that they can relate to. These are all topics that need to be covered from an early age. When kids learn how and where the money comes from on a more personal approach, they can make better choices with it. 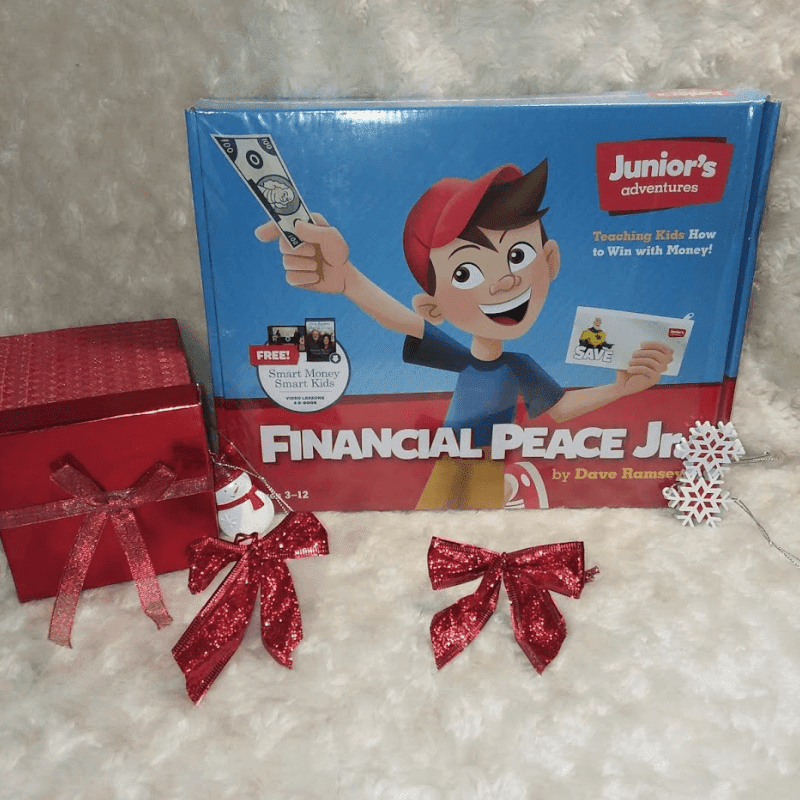 Financial Peace Jr is a kit that helps parents teach kids how to become money-smart. The kit covers key concepts like working, spending, saving and giving. I love it because even parents that haven't always been perfect with financial issues, they have everything they need to help their kids get the hang of it. This kit is recommended for ages 3-12, starting early is the best way to go. On a personal note, the older they get, the harder it is to break poor spending and saving habits. These are all awesome sets to help get your kids on a bright track to financial security. The lessons involved in the material is fun to learn and really handy to introduce. Check out these products on Dave Ramsey website and see the social media pages for new product listing and deals!